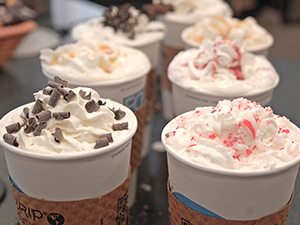 This peppermint hot chocolate is perfect for the holiday season. In 16-ounce cup, steam together chocolate sauce, peppermint syrup and milk until hot. Top with whipped cream and peppermint candies.